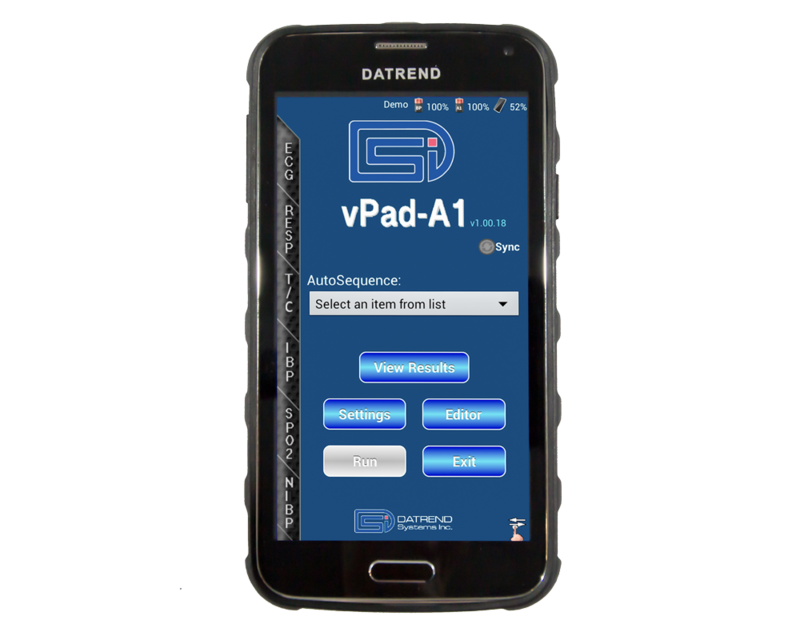 Datrend Systems’ vPad-A1, based on the revolutionary Vision-Pad TechnologyTM, is an all-in-one patient simulation system. 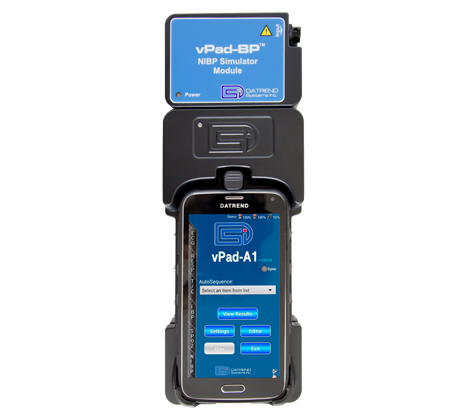 vPad-A1 is modular and is comprised of a Multi-Parameter Patient Simulator, SpO2 test module, and a Non-Invasive Blood Pressure simulation module which may be used together or independently in various combinations, with an Android handheld device or vPad tablet providing the user interface. 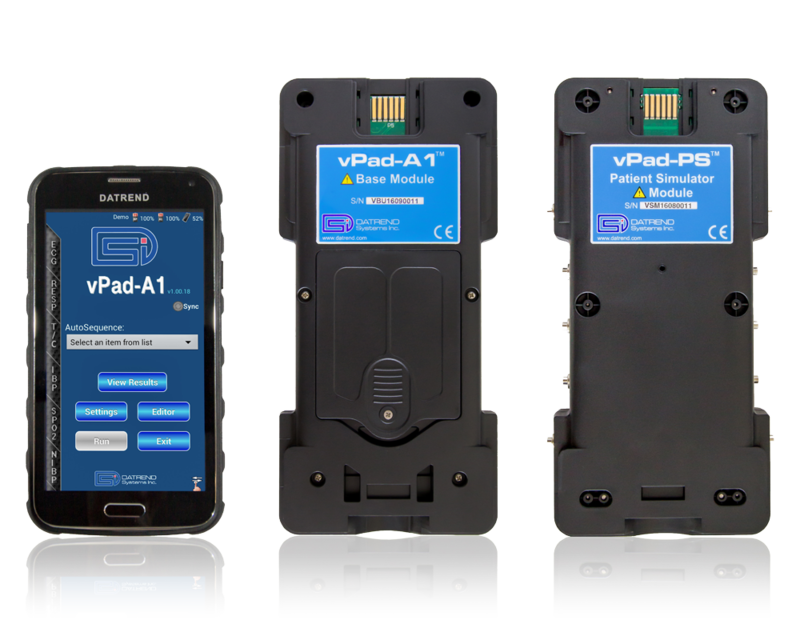 Built on Datrends’ Vision-Pad Platform, vPad-A1 is the only modular Vital Signs Simulator currently on the market. 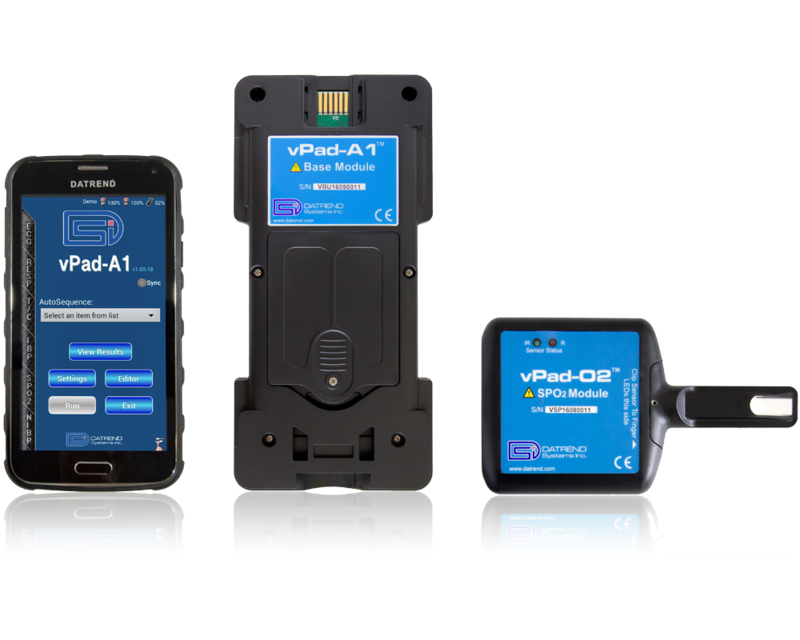 Comprising of 3 modules — vPad-PS (a Multi-Parameter Patient Simulator), vPad-O2 (a Pulse Oximeter Tester), and vPad-BP (a Non‐Invasive Blood Pressure Simulator) — the modules can be used together, independently, or in various combinations. 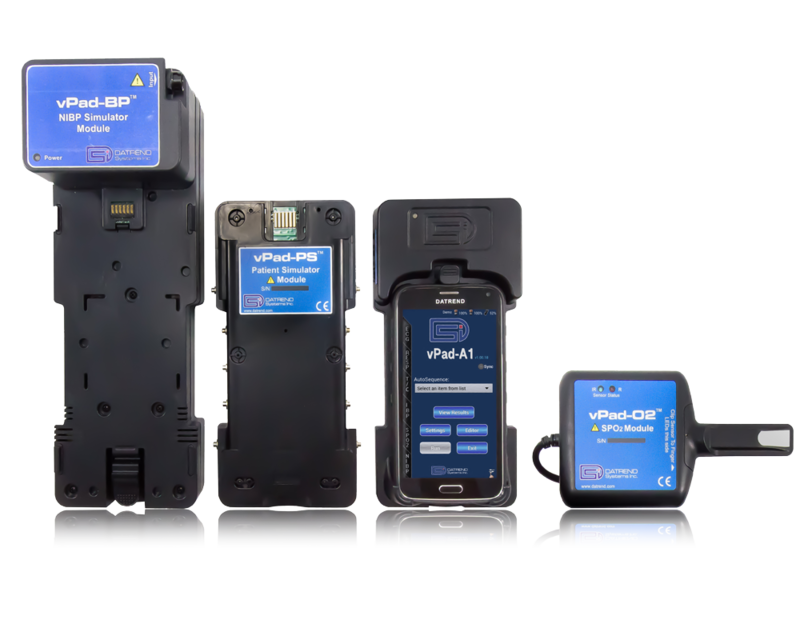 Integrated user customizable SpO2 R-Curves and NIBP envelopes are a first in our industry. 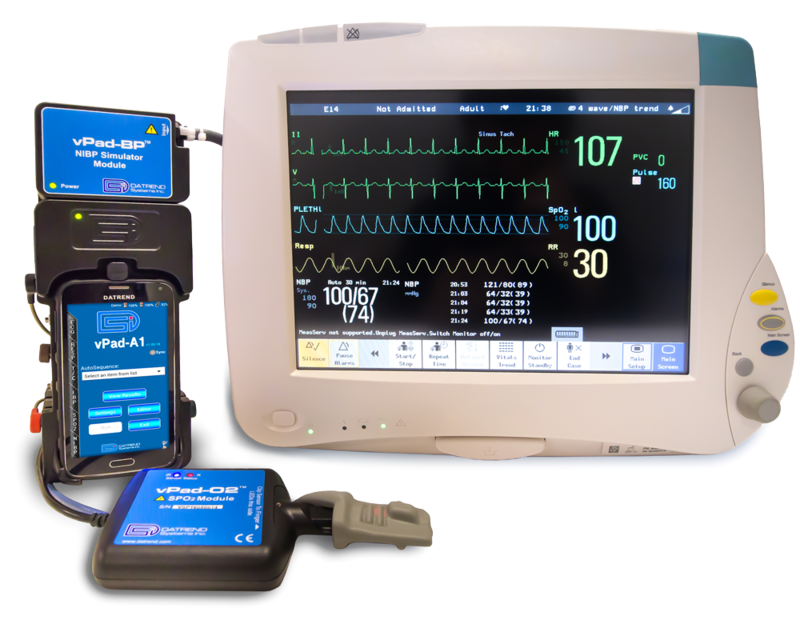 Axis Deviation: Normal (intermediate), horizontal, and vertical. Thank you for your interest. Please complete the form below to start a conversation with one of our representatives.